Goodheart-Willcox provides top quality instructional materials and student resources aligned to Precision Exams industry-recognized certifications. 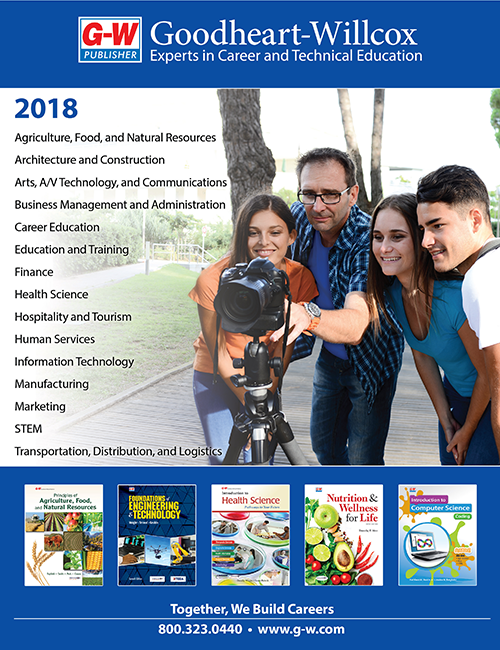 The go-to source for CTE resources since 1921, Goodheart-Willcox provides the best content available to fully prepare students for the Career Skills Exams, and ultimately for college and careers. Precision Exams provides a high-quality, CTE focused standardized assessment and certification system. Based on industry-recognized standards, the certifications are more than ornamental wall art — they are valuable certifications of the students’ knowledge. Precision Exams Standards and Career Skills Exams are created in collaboration with industry and subject-matter experts to match real-world job skills and marketplace demands. Exams are aligned with the National Career Clusters and students who pass the exams earn end-of-course Career Skills Certification. Goodheart-Willcox and Precision Exams now offer a full range of titles correlated to Precision Exams’ Standards. The correlation of Goodheart-Willcox titles to Precision Exams Certification Standards means that students will master the key concepts covered on the assessments, giving them the skills they need to succeed. It also ensures that your program meets the Perkins’ requirements for assessment of technical skills.